Contemporary art, superior design and innumerable facilities coexist between the Grand Bahia Principe Turquesa’s spaces designed for pleasure and relaxation that include the heated swimming pool, solarium and a spa. Your stay with here will be a memorable one as attention to detail and a truly personal service are a hallmarks of the resort. Children too can have a lot of fun in the children’s water park. The hotel’s rooms are spectacularly ingenious, as they are differently decorated and the spaces reflect harmony and elegance, which ultimately make for a memorable vacation. 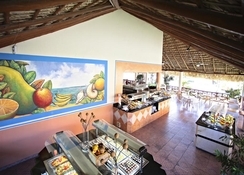 Foodies will not be disappointed either, as there are three restaurants and five bars to choose from. 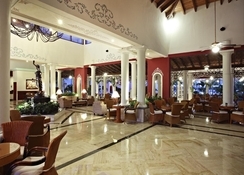 Grand Bahia Principe Turquesa is located in Punta Cana. If you love beaches and water sports, then this is the right place to stay, as the Arena Gorda Beach is only 2.7km away. The Punta Cana International Airport is 27.4km, making it convenient for the guests to board their flights on time. The Grand Bahia Principe Turquesa features well-appointed and spacious guestrooms that are equipped with a full bathroom, two full-size beds or 1 king-size bed, hydro massage bathtub, magnifying mirror, satellite/cable TV, air conditioning, radio, safety deposit box, coffee machine, hairdryer, mini-bar with soft drinks, water and beer (restocked daily), kids mini bar with juice, milk, milkshakes and soft drinks (restocked daily), welcome gift and basket of sweets, Wi-Fi in the room (additional charge), umbrella and kids pack with bathroom items. Rooms are available in the following categories: Family Master Suite, Family Junior Suite and Junior Suite Superior. 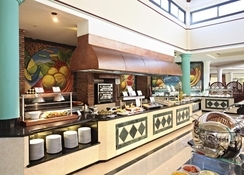 The hotel features 11 restaurants offering a variety of dishes from across the world and local specialties. 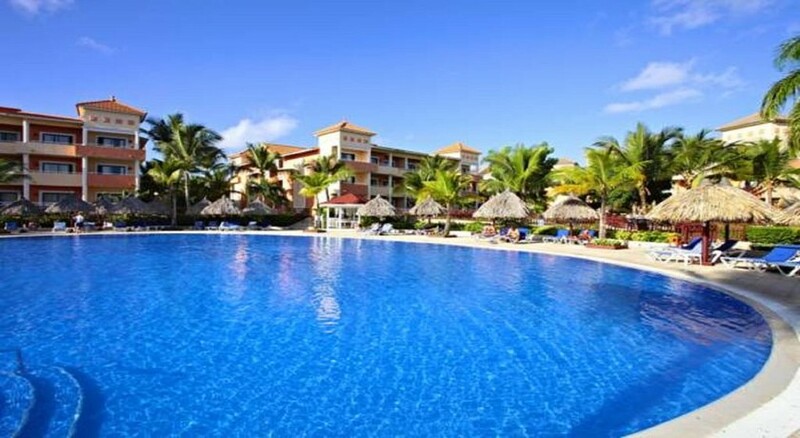 Whether you want to drink by the beach or the pool, the choice is yours as the hotel houses a pool bar, beach bar and bars throughout the resort. Or you can take advantage of in-room food & beverage service provided by the hotel. 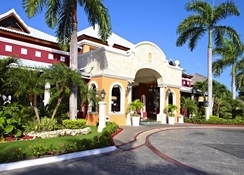 The hotel facilitates ample sport and entertainment facilities, which are sure to keep you occupied throughout the day. 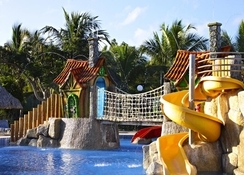 Some of the facilities in the hotel include outdoor swimming pool, golf & sports at the Bahia Scouts Mini Club, water park, music & dance shows as well as an adults’ and kids spa. 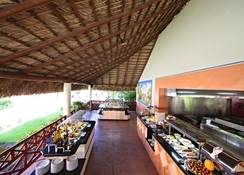 With all these facilities the guests don’t need to step out of the hotel’s premises. Feeling a bit lazy? You can simple lounge by the pool which is surrounded by palm trees, giving it a true Caribbean feel!